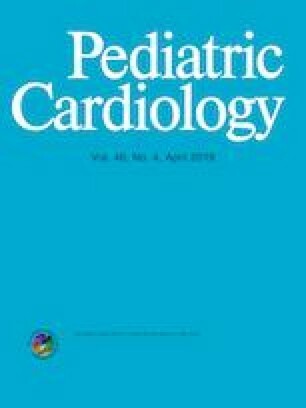 This study aimed to clarify the characteristics of pulmonary arterial resistance (Rp)–compliance (Cp) coupling in individuals with Down syndrome (DS), who have increased risks of pulmonary arterial hypertension (PAH). We performed cardiac catheterization before and after corrective surgery in 85 DS infants and 85 controls with congenital heart disease and PAH. We retrospectively collected hemodynamic data and compared Rp and Cp between the groups. Age at surgery was 3.5 (2.6–4.6) months. The first and second catheterizations were performed 1 month before and after corrective surgery in both groups. Preoperative Cp in DS patients was significantly lower than that in controls [2.27 (1.62–3.0) vs. 2.50 (1.86–3.31) mL/mmHg/m2, p = 0.039], although there was no significant difference in mean pulmonary arterial pressure and Rp between the groups. Analysis of covariance revealed that the slopes of the preoperative regression lines for the logarithmic transformations of Rp and Cp were identical in DS patients and controls (p = 0.299). However, the postoperative regression line was shifted downward in DS patients after corrective surgery. Postoperative home oxygen therapy (HOT) was performed in 39 patients (36 DS patients) and multivariate logistic regression analysis revealed that postoperative HOT was significantly related to low preoperative Cp (p = 0.039) and DS (p = 0.0001). Individuals with DS have the unique pulmonary vasculature characterized with low Cp that is related to postoperative HOT. We gratefully thank M.Miura, Clinical researcher at Tokyo Metropolitan Children’s Medical Center (Tokyo, Japan), for advising about statistical analysis for the manuscript. All procedures performed in this study involving human participants were in accordance with the Institutional Ethics Committee of Kyushu Hospital, Japan Community Healthcare Organization (approval number 463) and with the 1964 Helsinki Declaration and its later amendments or comparable ethical standards. Informed consent was obtained from all patients or their guardians included in the study.